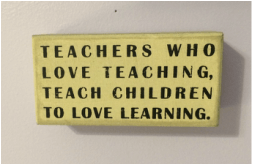 Confessions of an itinerant teacher…what’s on my desk. I have wanted to post something like this for a while, but I decided today was the perfect day because my friend Rachel Tanenblatt is hosting a blog link (Her first ever!). Click on the pic to get to the original link. Make sure you follow her. She’s a newer blogger like me! This is also my first Itinerant Teacher Post, a topic I have been planning to bring up, and will bring up again.I work in three schools – a Lutheran school, a Catholic school and a Montessori. 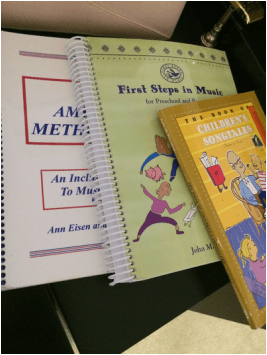 I teach 3 year olds to 8th grade general music, choir and band. I have several classes with multiple ages in a class, and share all my spaces. In other words, I don’t have an official ‘home’. When I was young, I have a very clear memory of thinking that the word itinerant meant “crabby”, “cranky”, or some variation of the word. When I started teaching on the cart, I all of a sudden understood why I probably thought that from context clues as a kid.However, this year, I am lucky enough to be at one school 3 days a week, so even though I don’t have a ‘home’, I feel a little bit at home with my cabinet! The bottom stores some of my small percussion instruments, portable folding music stands. The cases hold office supplies, and the black and white bag is all my tech equipment. My top shelf has music books, and multiple half drank bottles of water (I have a problem!). There is also my emergency ‘lunch’ – an oatmeal packet, and some hand lotion. Most of the work I do for school, I try to keep on my computer since I carry it everywhere. I carry VERY little if I can make it work. I take pics of songs in books that I want to use, write out all my lesson plans digitally, and in general, make as many things as I can ‘carryable’.However, I have an awesome office at home that is my planning space. It’s lovely. I usually sit on the floor at the coffee table downstairs. Haha! The first pile is music I’ve been using to arrange stuff for my Catholic school’s holiday concert. 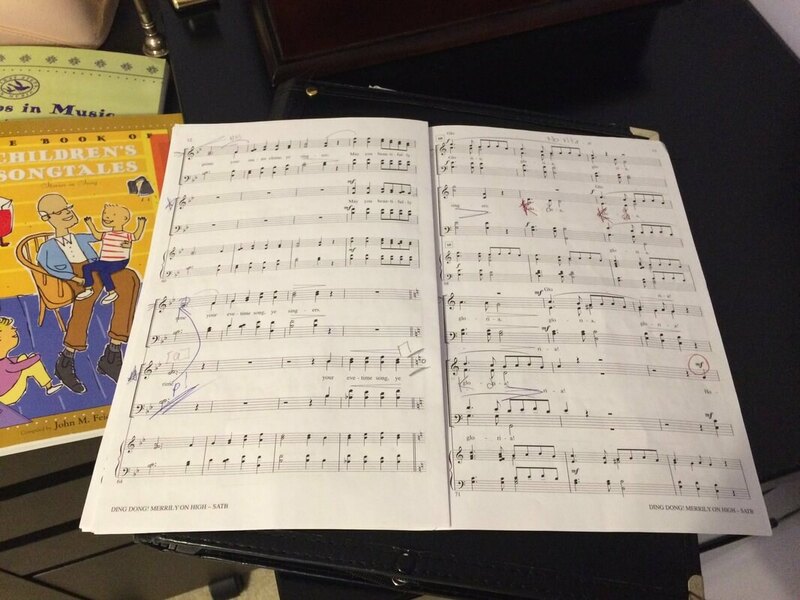 The top is sheet music I have save since 3rd grade (yeah…really). 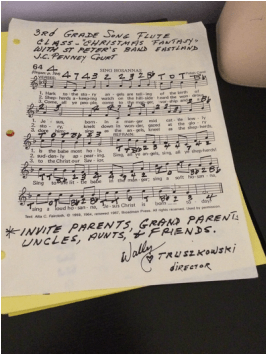 It is “Sing Hosannas”, a Polish carol my band director, Wally (the guy who signed at the bottom) gave us when we took “flutophone”. Wally is my hero, the reason I am a music teacher, and my inspiration every day. More about him in a minute. 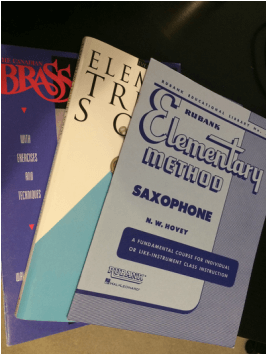 The 2nd pile is music I pulled out for a few students that have had band already. The band program I teach is BRAND new. As in this year. A few students have had band and I’m trying to pull things for them to work on. The last pile is books I’ve been using in the classroom. 2 of my favs are here: First Steps and the American Methodology. Registration info for the BEST music PD ever. 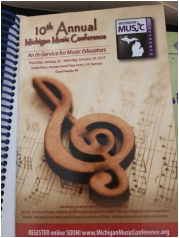 Michigan Music Conference. Perfect for people who teach multiple types of classes. Three days of choir, band, orchestra and general music. One of my favorite quotes on the wall. If I ever didn’t love what I do, I would quit. I never want to be the teacher that is bitter, or makes a child to hate school. 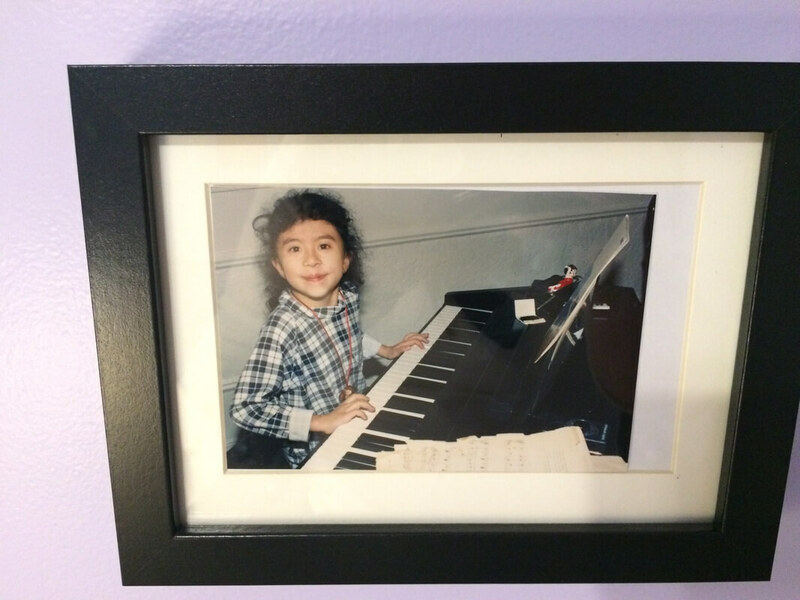 This is a picture of my sister Megan sitting at my Aunt’s clavinova. Megan died in 1997. I had to have this pic. 2 pics The smaller picture on the right is me and Marcus Belgrave. He is a Detroit jazz musician who directed the DSO Civic Jazz Orchestra the summer I was in it. Amazing experience. (Did I mention I played saxophone before I became a singer?) The black and white is Wally, my band director. This was took toward the end of his life. He died when he was 82, 3 months after my sister. He had very severe arthritis, and walked with a walker. He played the piano with his knuckles for us. He was nothing short of amazing. I’ll tell you more about him sometime. My community choir, the Livingston County Chorale, directed by a crazy amazing choral teacher, is working on this song for our holiday concerts this weekend. I came home from rehearsal last night and pulled this out so I look at it before the weekend. I know my desk looks fairly neat for someone who works in three places, but I can’t handle surface area mess. I drives me bonkers. I usually put away EVERYTHING before I go to bed. I may have one small stack that I end up taking off the desk and putting on a piano bench or in one of the drawers to get it off the top. It makes me crazy. I hope you enjoyed a little glimpse into my life. Wow, I love all the pics! It is so fun to get a little glimpse into the working life of others… I’m itinerant, too, so I feel like my teaching supplies are always spread between my schools. Thanks for linking up!